If you work from home you understand the importance of having a reliable place to get stuff done. Whether you are working full-time, earning passive income* or working on passion projects, doing so in a nice office will help you stay motivated. 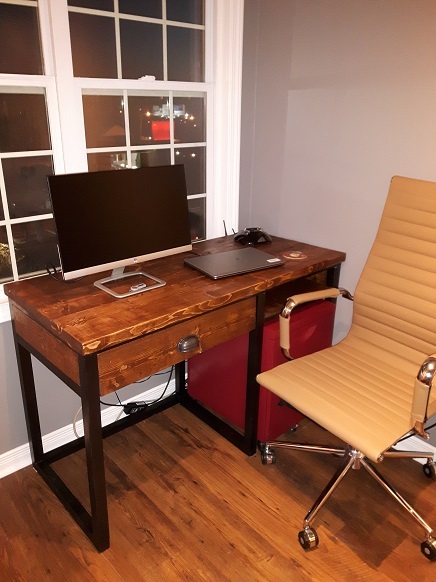 I recently moved into a townhouse with a spare bedroom so I took advantage and turned this into office that I would look forward to working in. My budget was minimal so I really had to do research, shop around and most of all DIY it! 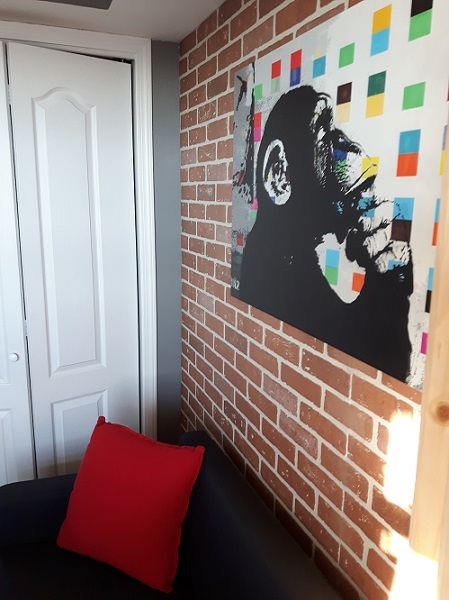 Continue reading to learn how I completed this office reno for under $250. 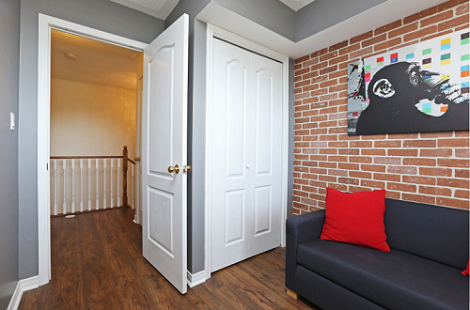 Most of the walls in the townhouse had the same generic paint and flooring that the builders put in 8 years earlier. The builders white paint had turned yellowish and was depressing to look at - needless to say the walls needed some treatment badly! 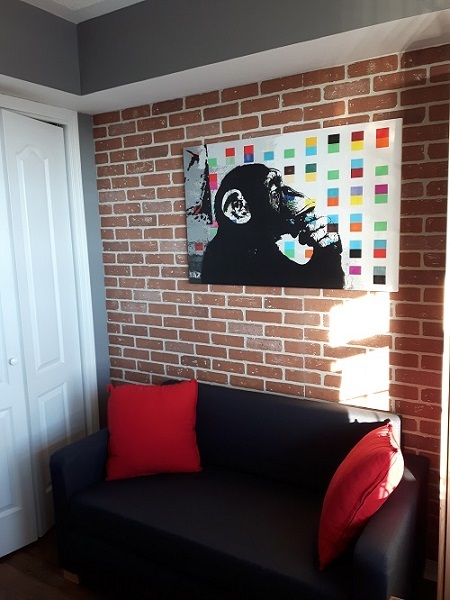 For the paint I chose Sherwin Williams comfort grey, and for the accent wall I wanted something a little more unique. 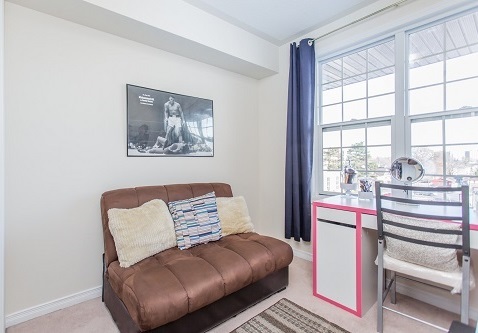 I had always admired the loft look which is usually accompanied by an exposed brick wall. 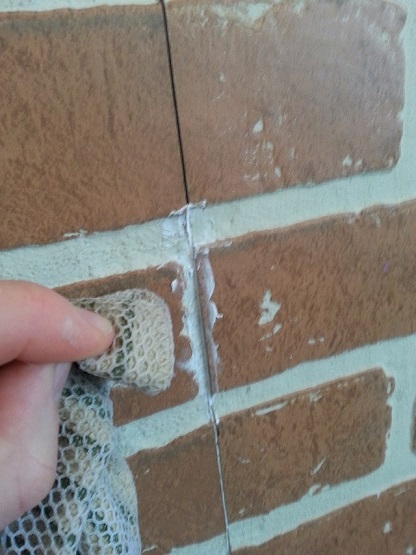 I looked into installing brick the traditional way using cement, but this would be a bit risky to do over the existing drywall and also not budget friendly. 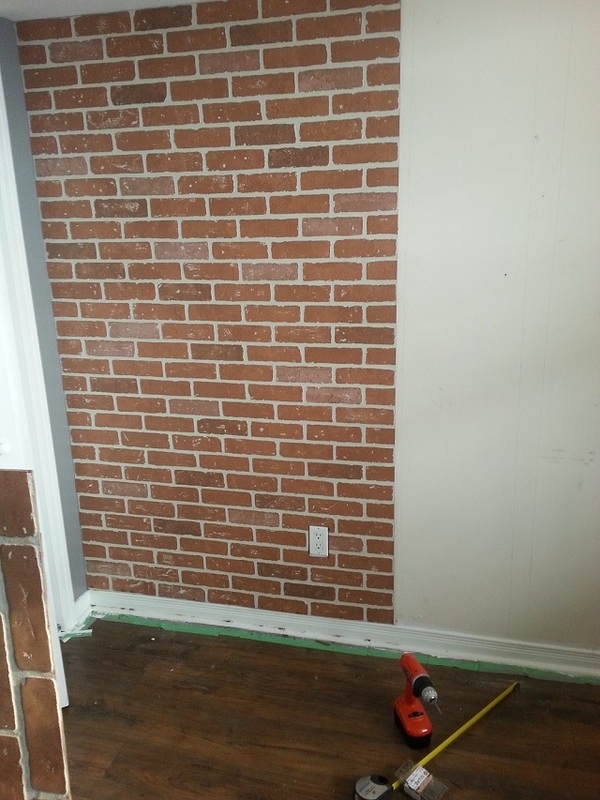 On a trip to home depot I discovered these Kingston Brick Hardboard Wall Panels which looked like the real thing with embossed bricks, and were quite inexpensive (only cost about $50 in total for 2 panels). Step 1: Measure and Cut the Panels. If you buy the paneling from home depot, they should be able to cut them for you to size. When I got home I needed to cut around where the electric outlet was on the wall (using a jigsaw). Step 2: Fastening to the Wall. The instructions recommended No More Nails as an adhesive for gluing the panels to the wall. I used 1 tube of the adhesive per panel to make sure that it really stuck. 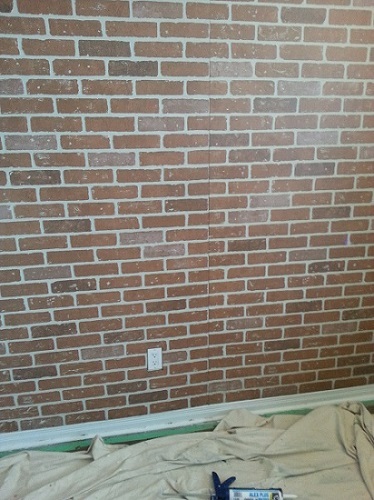 I also screwed the panels into the wall with deck screws that were a rusty color and matched the brick. If you want a less permanent solution, you could use some longer screws and drill the panels directly into your studs. The most difficult part of this was lining up the panels to match each other, I would recommend asking someone to help you hold the panel in place to make sure that they line up. Step 3: Closing the Gap. You will more than likely have a small gap between where the panels meet. To remedy this I attempted to blend in the bricks by rubbing in some of the brick color in the seam. I sanded off an inconspicuous area of the panel to get some red ‘brick dust’, and then rubbed it into the seam where I had applied a small amount of no more nails. And if it still doesn’t look good, just cover it up with some art! 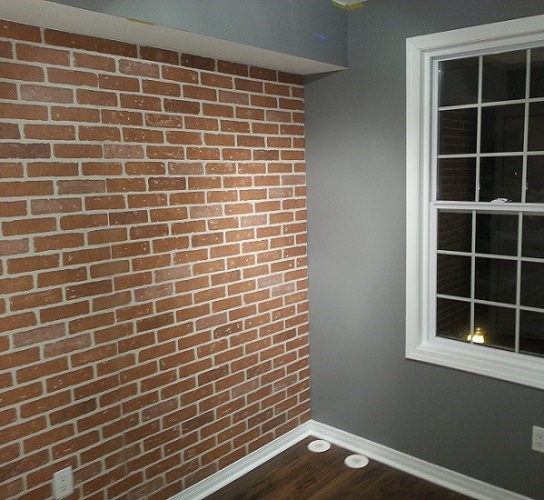 If this process seems like too much work, there are lots of options out there for faux brick, including wallpaper which looks pretty realistic! Check some other options out here. The dingy carpet needed to be replaced, we chose this rustic chestnut laminate flooring from Lowe’s, which was priced right at $1.39 per sqft. Most laminate is pretty easy to install, but we didn’t have the necessary tools when we first moved in so we had it installed for $.99 per sqft. 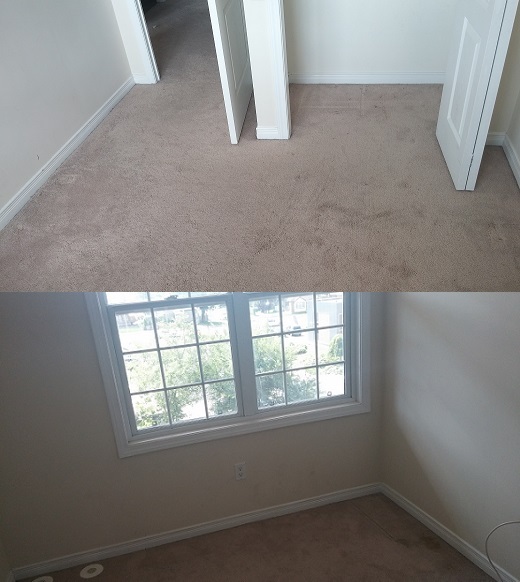 The total cost for a room this size was about $75 (including laminate, underpad, quarter round and labor). 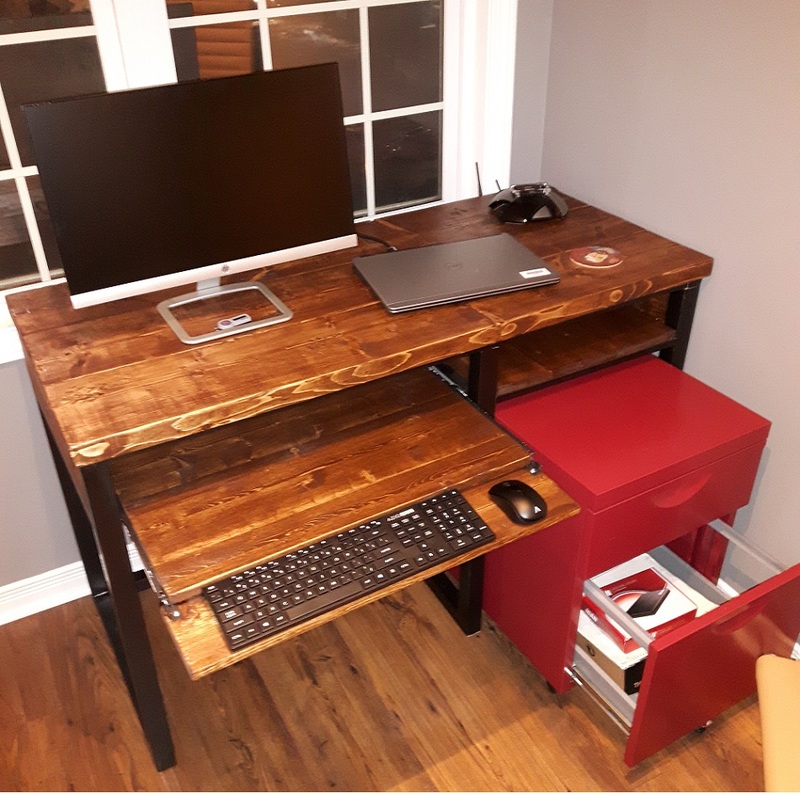 This desk was originally my coffee table, but it was too big for the townhouse so I decided to convert it into a desk. 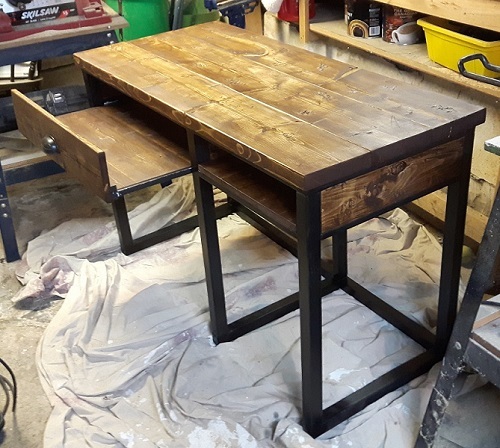 I had an old filing cabinet on wheels that I wanted to use, so I worked out the dimensions so that it could fit within the table. In the future I may write instructions for the desk, but for now check out the progress pics below. 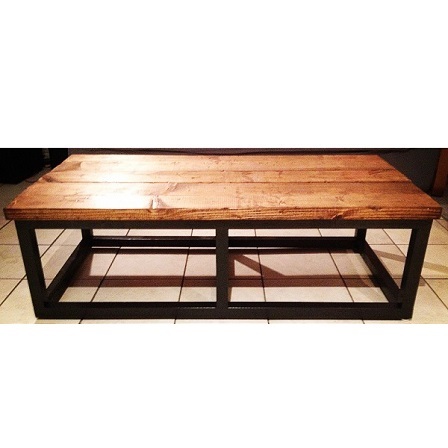 Here is a previous blog post if you would like to see how the coffee table was built. I’ve always liked the Eames style chairs that they have on Mad Men. 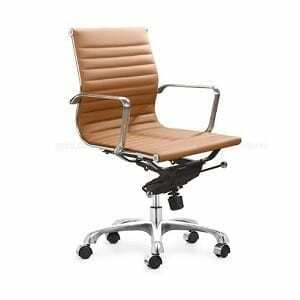 The specific chair that I ordered is no longer in stock, but this one looks even more comfortable. It was difficult finding a futon that would fit in a room this size. I ended up settling for the cheap Solsta from Ikea since it was the only one that would fit in the room which could be purchased in stores near me. However I wouldn’t recommend this model since it’s uncomfortable to sit and sleep on and gets dirty very easily. You would have better luck with one of these options. 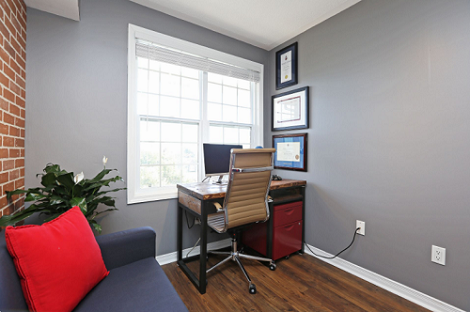 Well there you have it, my complete DIY Office renovation for under $250. Any questions, feel free to leave a comment below! 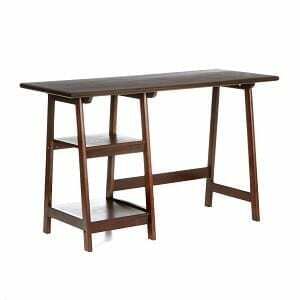 Looking for items for your bachelor pad office? Check out a few items below and see the full selection here. 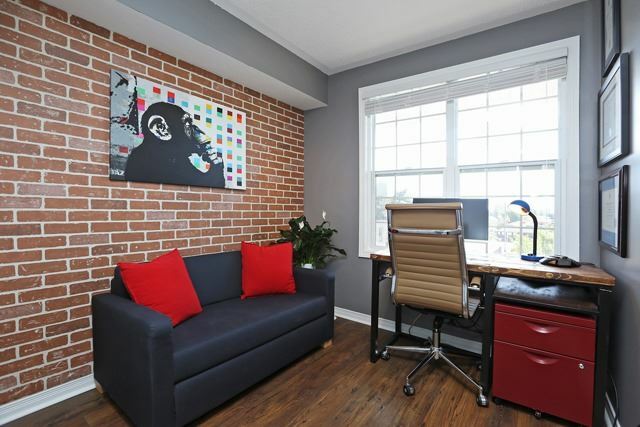 One Response to "Complete DIY Office Reno for under $250"
Man, so many cool ideas. U da bomb!